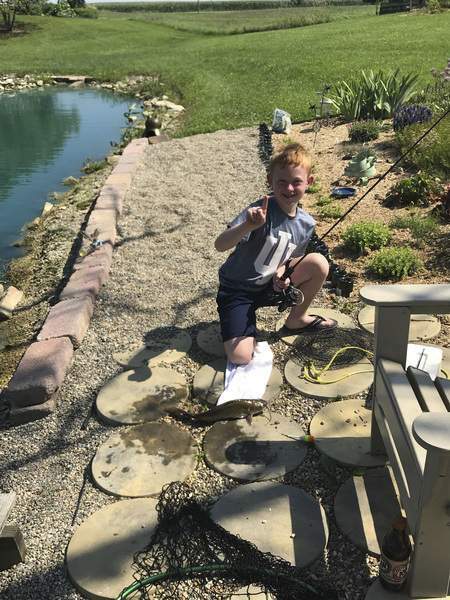 Courtesy photos Alex Barkley, 7, of Indianapolis, the grandson of Bob and Jan Barkley, caught his first catfish at a friend's pond in rural Columbia City. 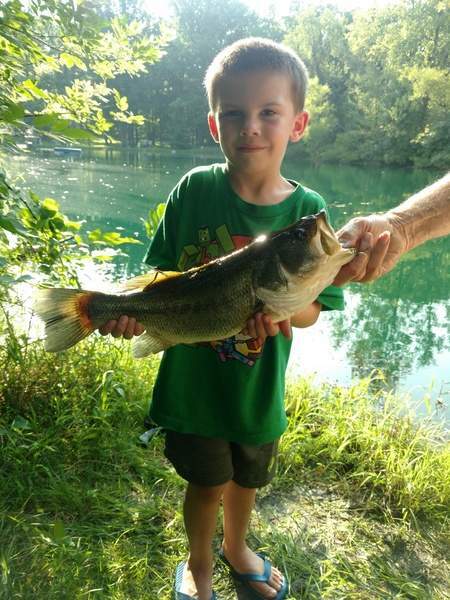 Peter Duane Riley, 6, of Fort Wayne caught this 3.5-pound, 18-inch largemouth bass at Stillwater Pond in Yoder in August. The fish about pulled him into the pond. His father held his shoulders to keep him on the shore.